I’m currently listening to the Fontanas CD, “Previously Unreleased 1990” which features Clint Hoover on harmonica. Wow! He has an amazing tone that any good harmonica player should pay attention to. 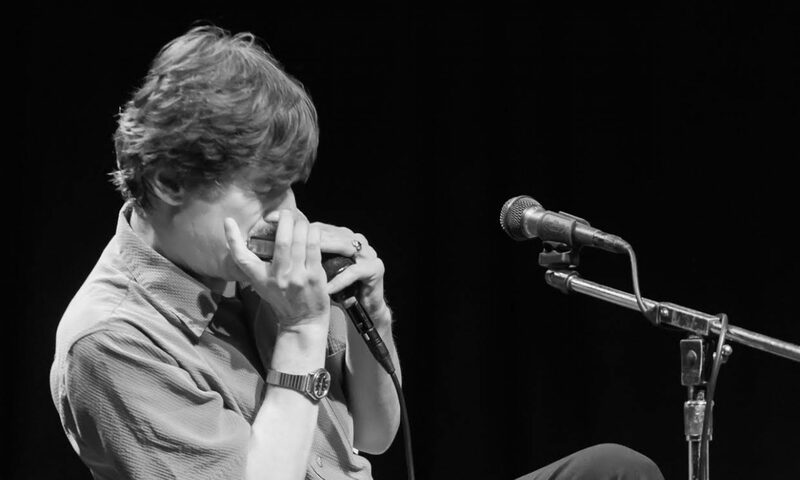 It ﬁts in beautifully to the music, which is what every good harmonica player should do. It’s a very good album overall, deﬁnitely American singer-songwriter, Tom Petty-ish. Again, listen to the tone of the harmonica, it’s killer. Savvy power pop songwriting meets screamin’ rock harp (played on the chromatic!). This debut effort by Blackberry Way recording artists The Fontanas features diamond-in-the-rough pop gems that are well crafted and glittering with hooks. All tunes are from the pen of respected rock songster Brian Drake who also sings lead and plays rhythm guitar. Clint Hoover’s harp plays the counterpoint creating memorable hook lines, organ like pads, horn riffs (sometimes in harmony with his own alto sax,) and supersonic solos. The album also features the rock solid rhythm section of Jon Schrader and Brian Valenchenko and the lead guitar of Todd Miller. Sadly, this record languished in the vaults unheard for over 14 years. Originally slated by the label for release in 1990, it was recorded in 1988-89. All of this before the advent of Blues Traveler!